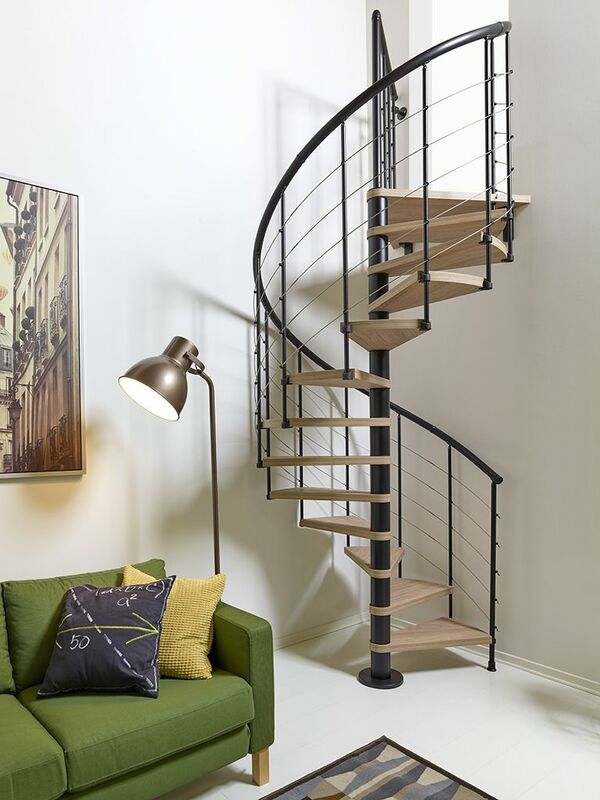 The staircase Fontanot Spin T is a kit staircase that represents design, functionality and aesthetics personalizing your living space. 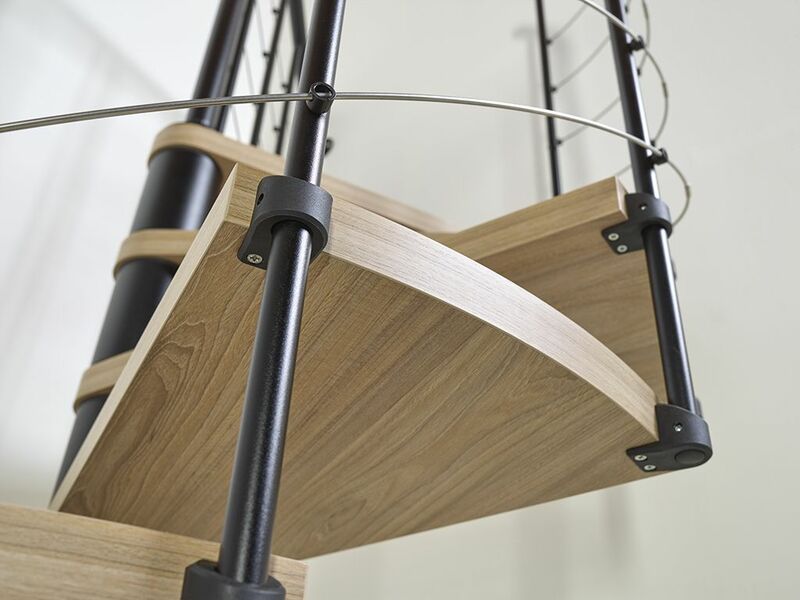 The key element of the staircase is the laminated hpl - elm tread. 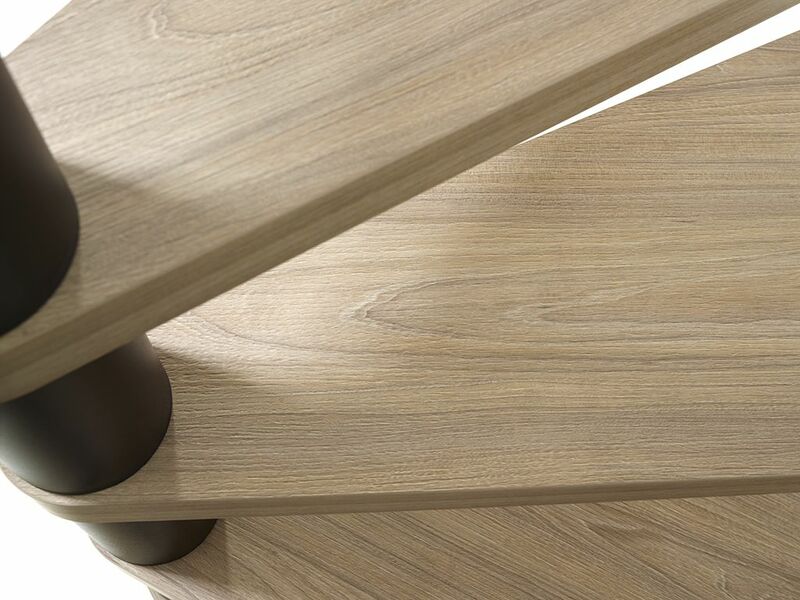 It represents the best compromise between aesthetical impact and the resistance. • Resistance to the usury, to the stamping, to the scratches. • Resistance to the action of the UV rays preventing the fading of it. 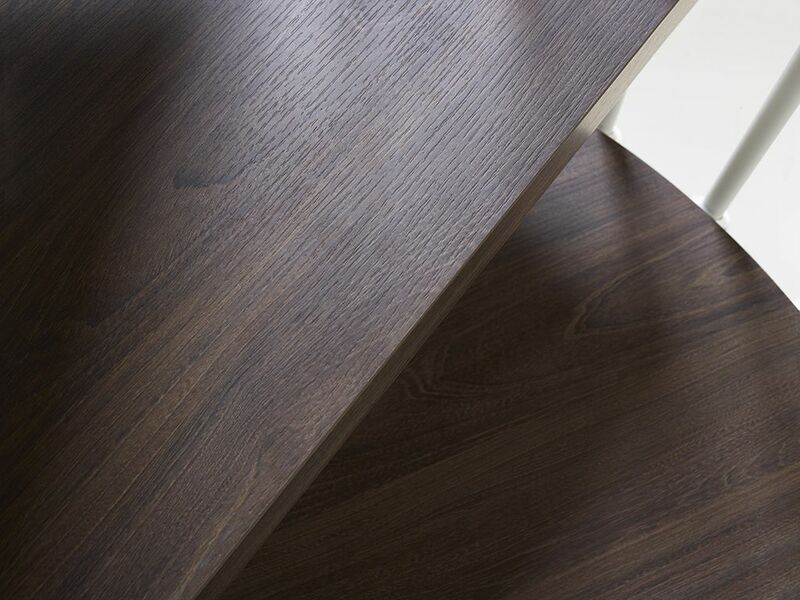 • Anti-static laminate doesn't attract the dust improving the cleaning. • Water and steam impermeability. • Resistance to cigarettes scorches. • Resistance to the chemical agents, ink, paints and any type of stain. • Elevated resistance to the fire: the HPL is inflammable only with direct flame. 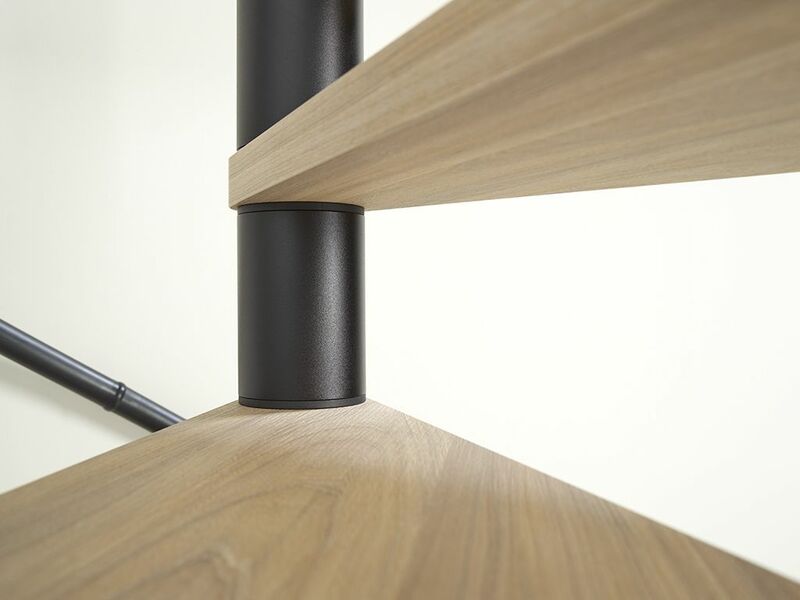 • Easy maintenance and cleaning: the smooth surface doesn’t hold dirt. 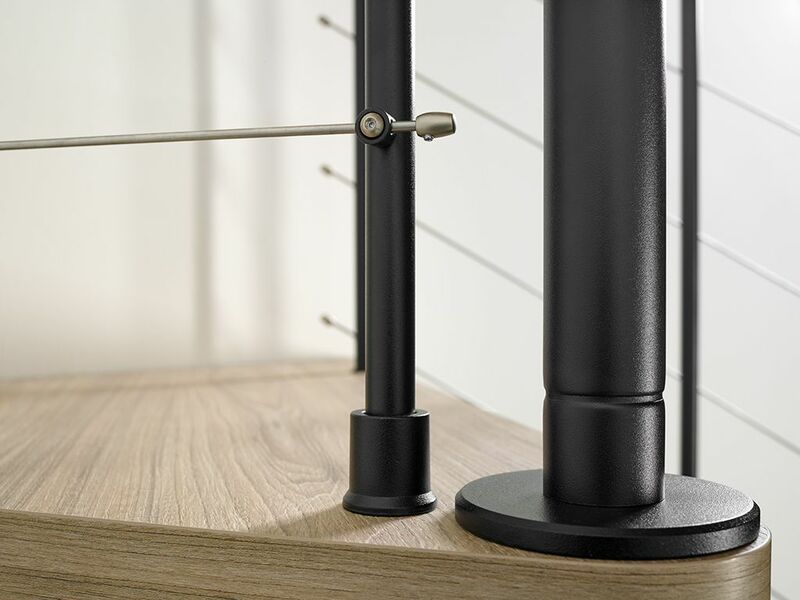 Railing is available in the models 030 with vertical steel baluster and 010 A with the vertical steel balusters and five parallel stainless steel bars. 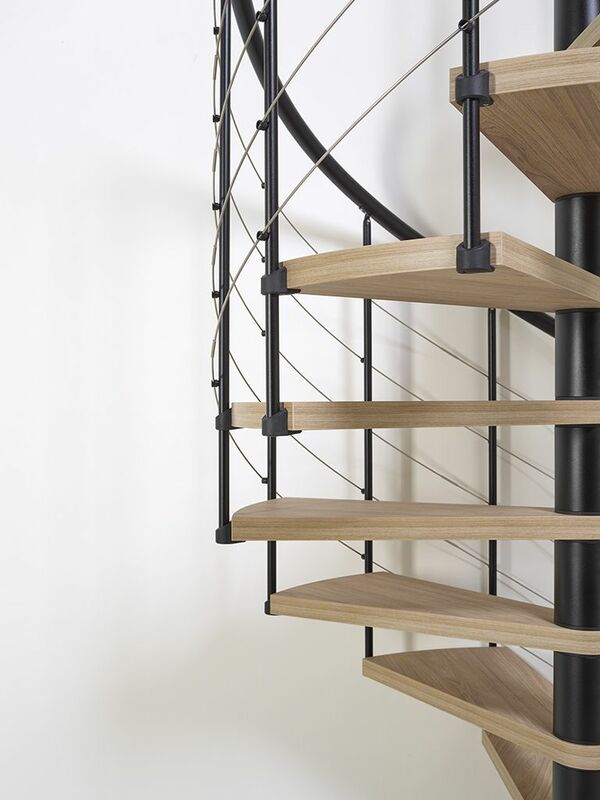 The structure is realized in painted steel as the balusters that compose the railing. 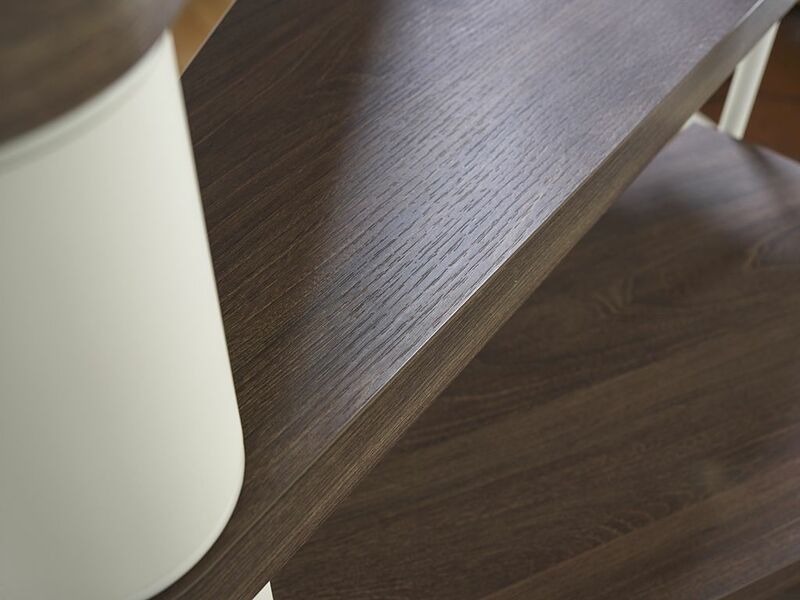 The available colours are embossed white, black embossed and iron grey. 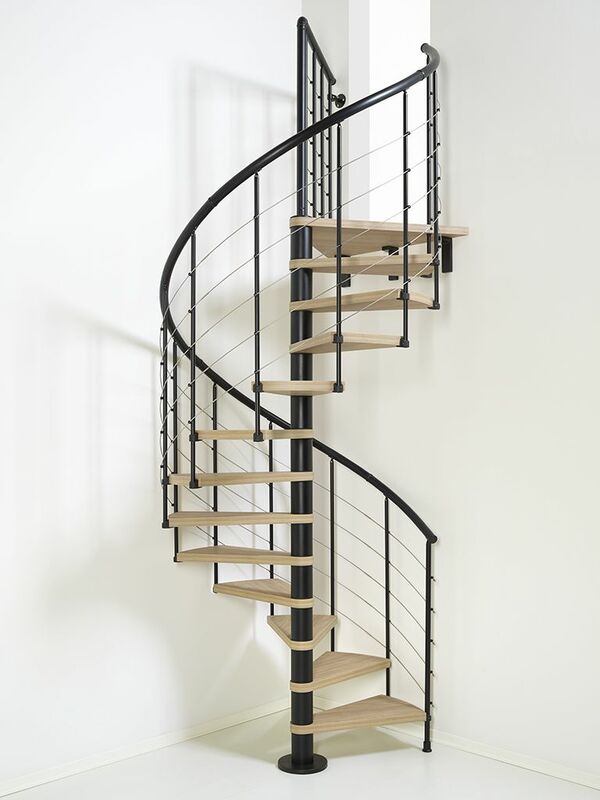 The Fontanot Spin T staircase made up of 13, 14, 15 or 16 rises and is complete with railing. 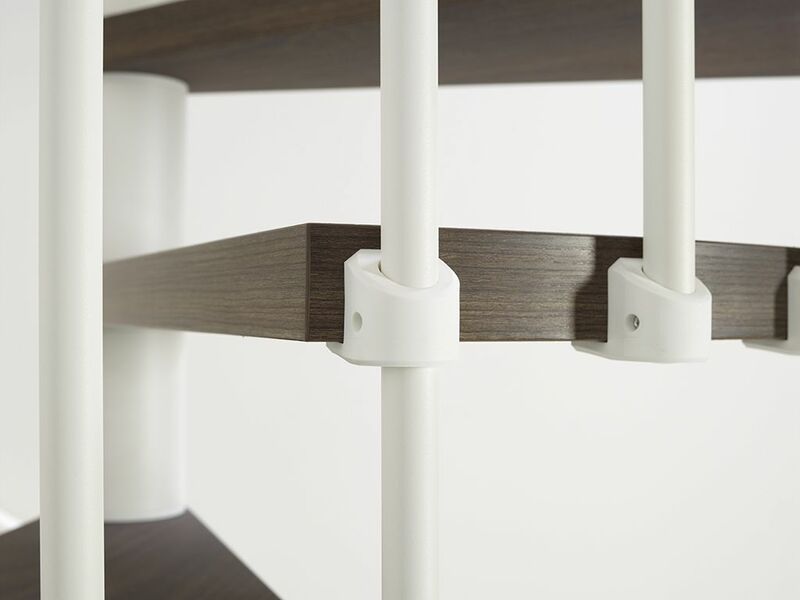 The railing is available in the models: 030 with vertical steel baluster and 010 A with the vertical steel balusters and five parallel stainless steel bars. 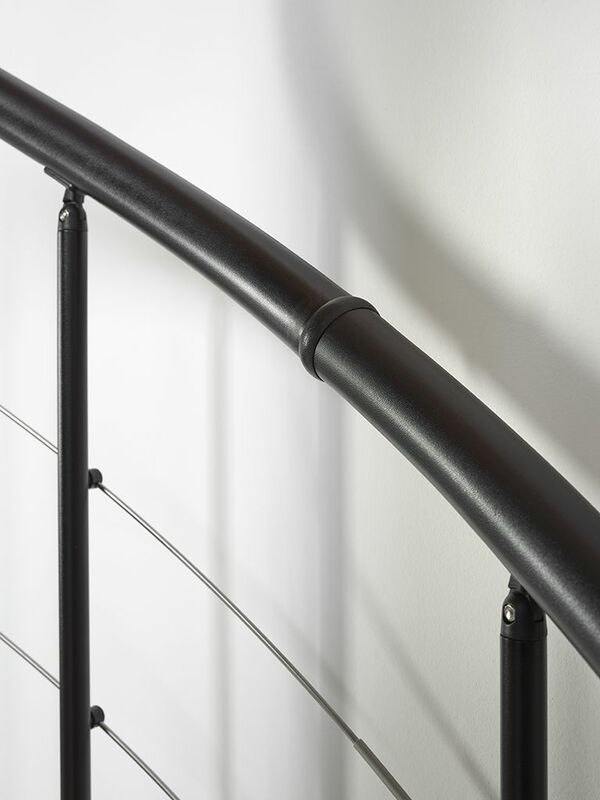 The handrail are in PVC the same color as the structure with aluminum core. 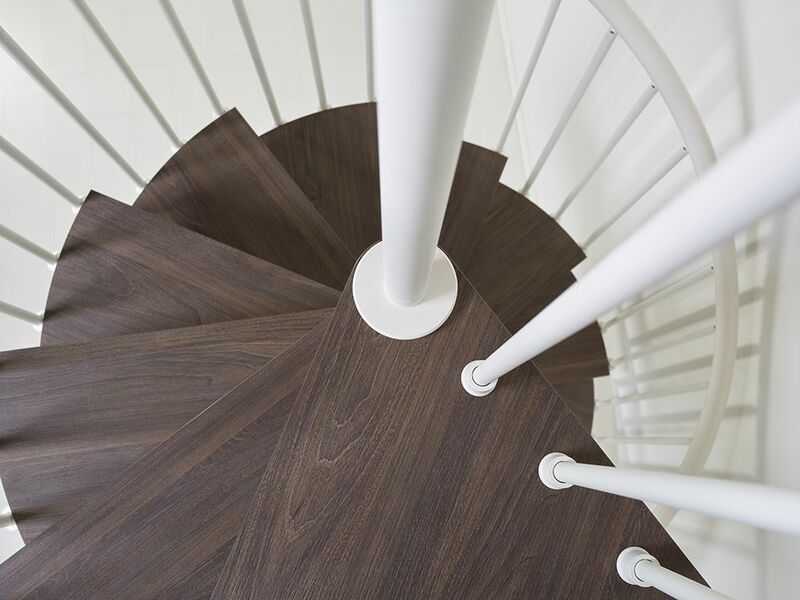 The treads of the staircase are in laminated HPL available in elm light or dark color, two shades that can satisfy any aesthetic need. 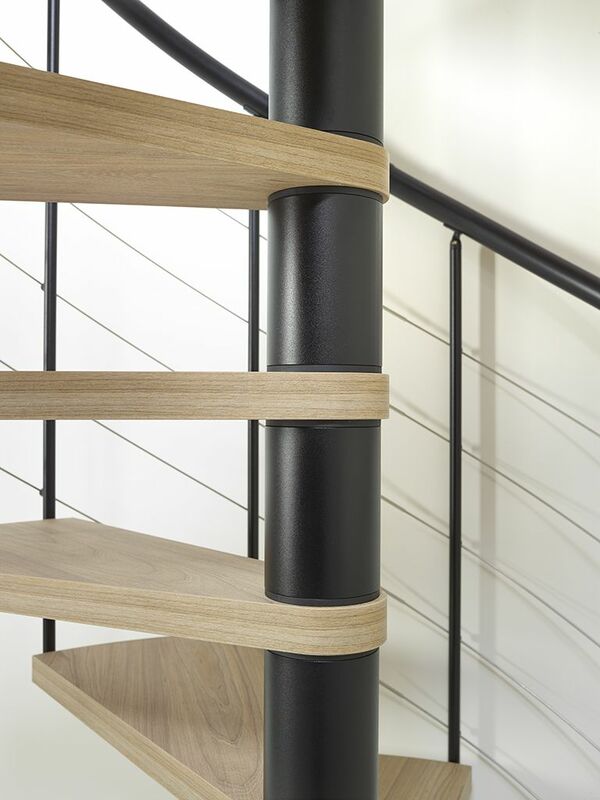 Fontanot Spin T comes in three finish colours: embossed White 9010, embossed black 9005 and Iron Grey. 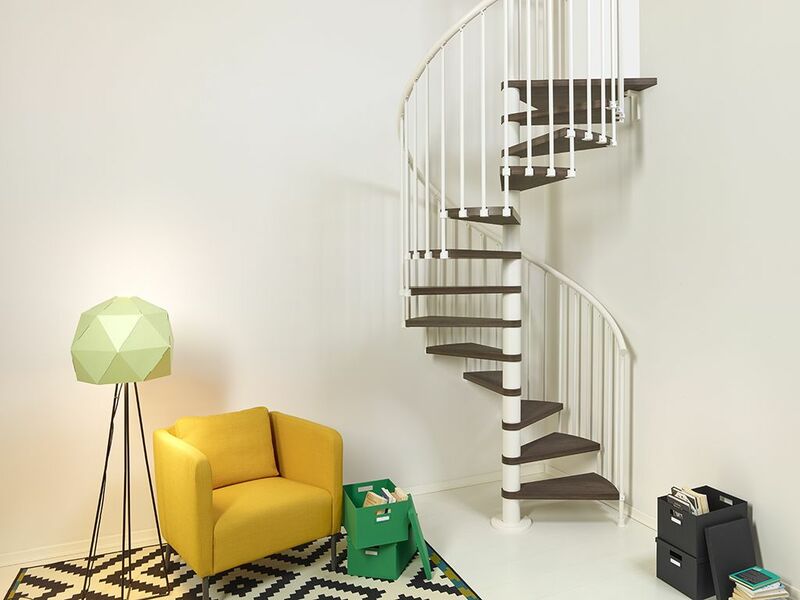 The prefabricated spiral staircase comes in an easy-to-assemble kit and is characterised by the landing that can be adapted during installation and can have three different configurations: circular, triangular and trapezoidal. 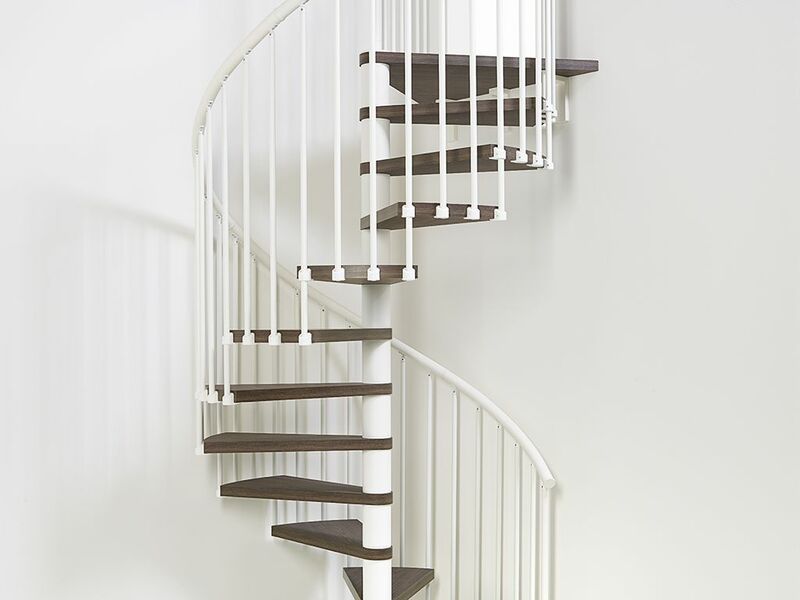 Thanks to the adaptable landing, the Fontanot Spin T staircase can be installed in any type of opening and you can also decide the direction of rotation during installation. 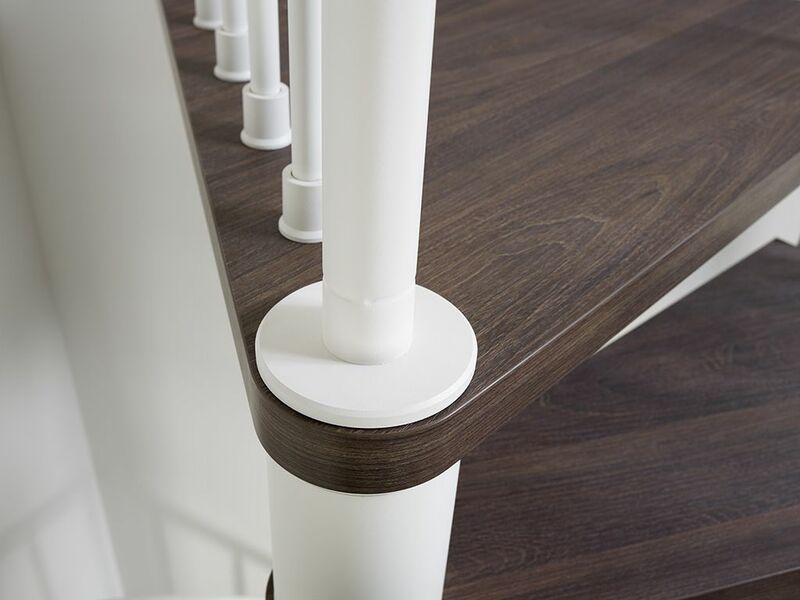 An supplementary balustrade is also available to protect the opening on the upper floor. 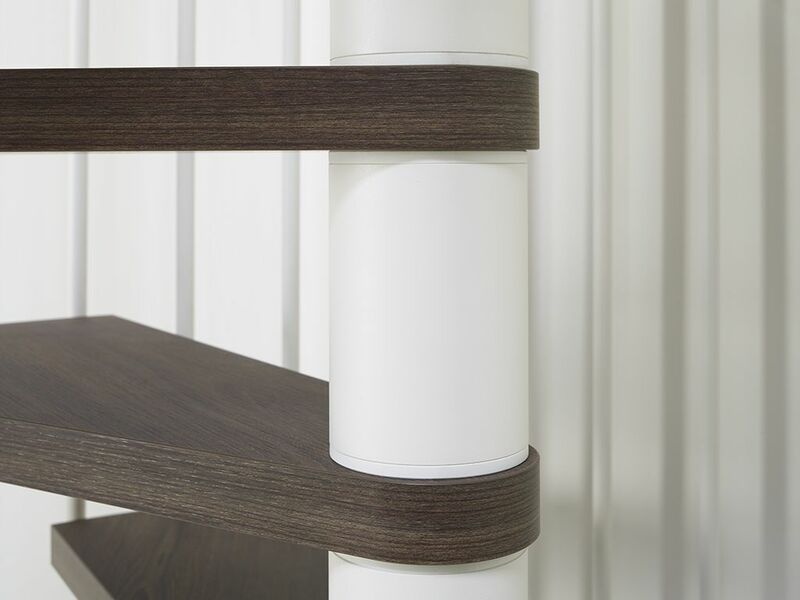 The treads of the staircase are in laminated HPL available in elm light or dark color and 4 cm of thickness. 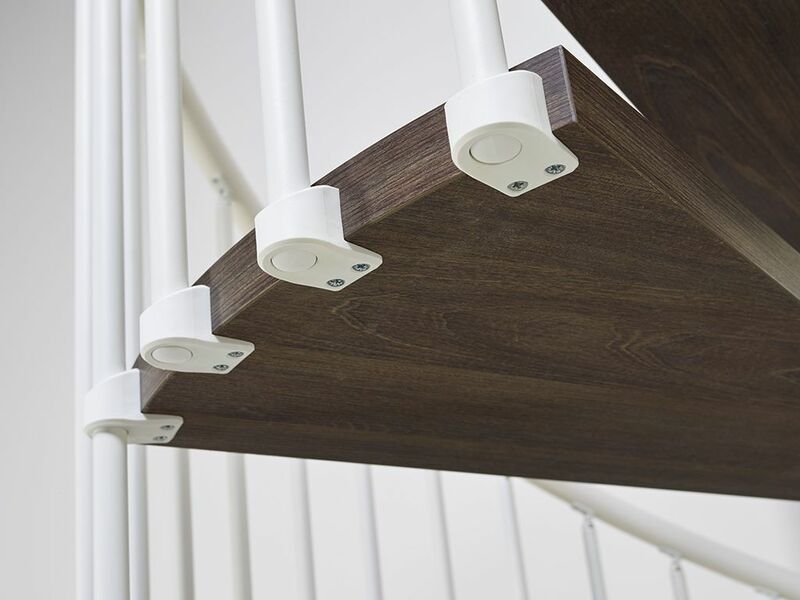 The railing is available in the models: 030 with vertical steel baluster and 010 A with the vertical steel balusters and five parallel stainless steel bars. 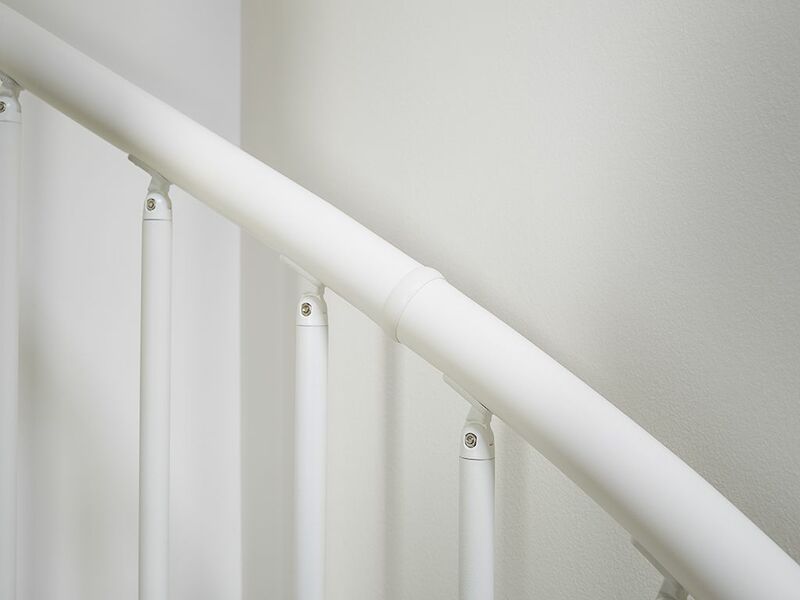 In PVC the same color as the structure with aluminum core. 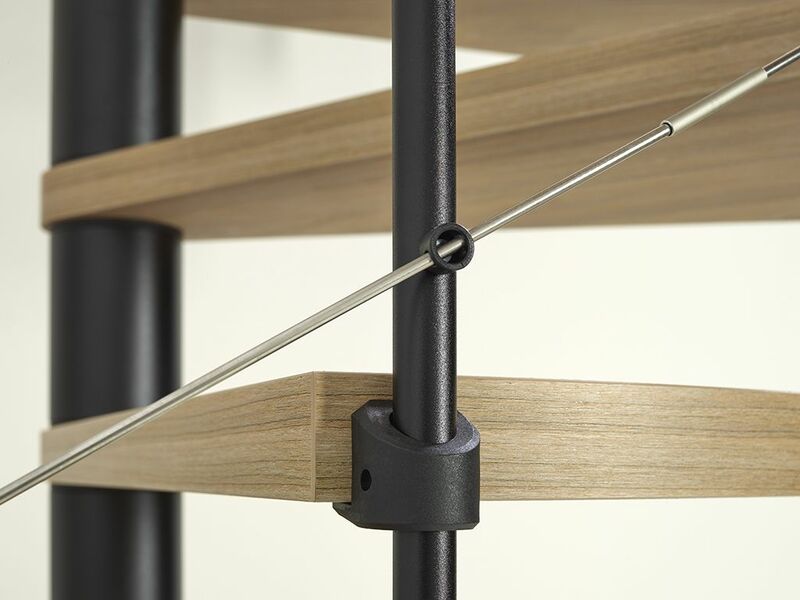 The kit can be installed with both clockwise and anticlockwise rotation, decide the direction of rotation during installation. 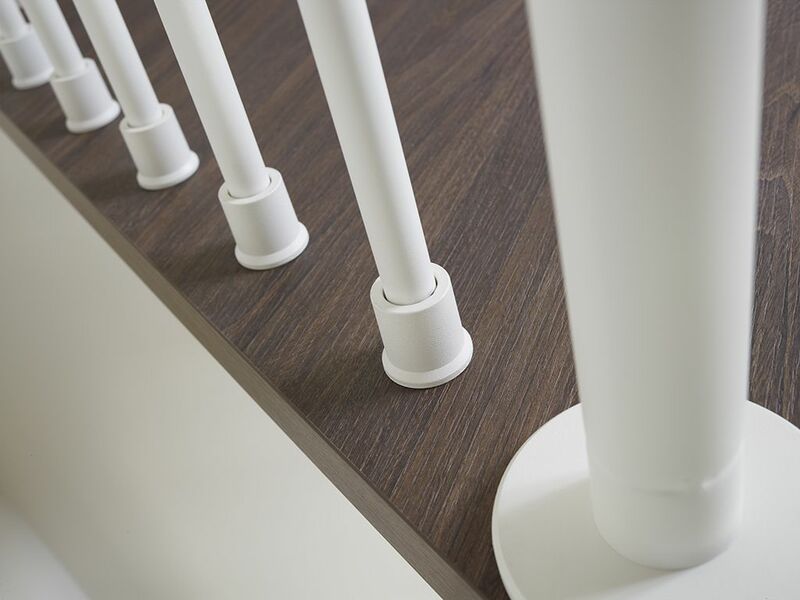 The landing that can be adapted during installation and can have three different configurations: circular, triangular and trapezoidal.